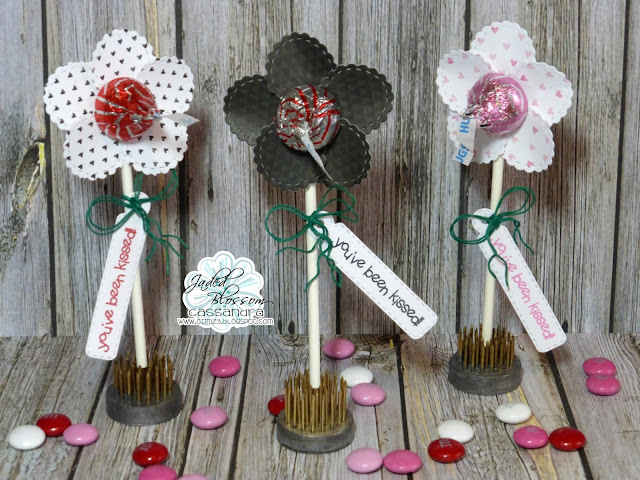 Jaded Blossom: You've been kissed! Hello everyone! This is Cassandra from Creating with Color by Cassandra. 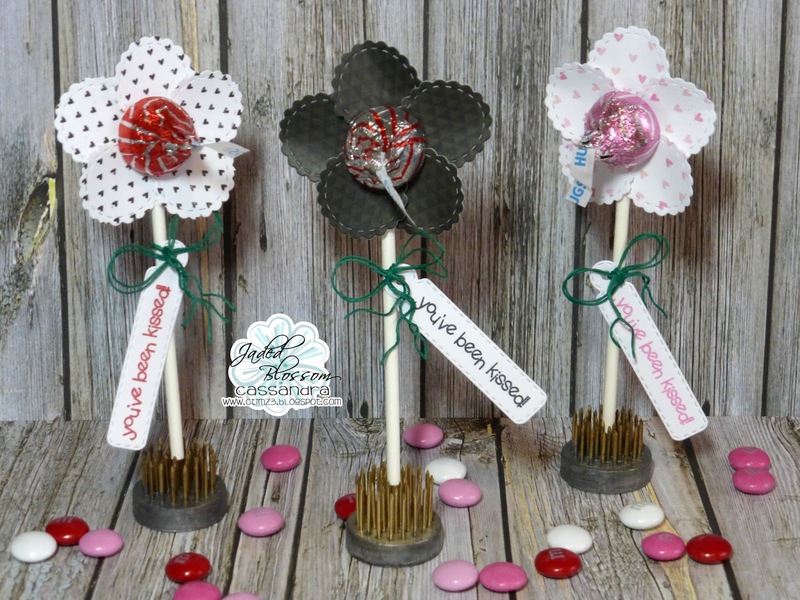 And today I have some fun and easy Valentine Lollipops for you. Hee! Aren't they fun? To cut the flower petals, I used the Jaded Blossom ~ Layered Frame & Journal Die. In the center of each flower is a yummy chocolate. The tags are cut with the Jaded Blossom ~ Mini Tag Dies. And the sentiment is from the Jaded Blossom ~ Sprinkled With Love. All of the fun patterned papers are from the Bo Bunny ~ Head Over Heels collection. OK these are just freaking adorable!! Oh my gosh, these are fantastic!! !